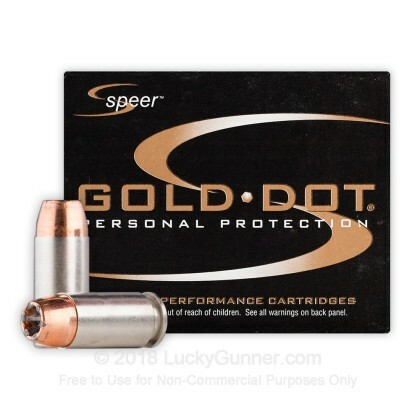 Speer's Gold Dot Hollow Point ammunition is tailored specifically for home defense. 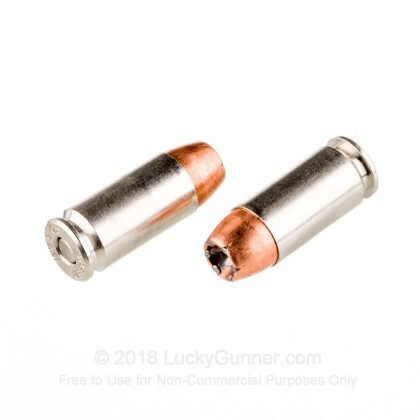 Featuring Speer's bonded core technology, this round performs great in the FBI tests. Speer's bonded core bullets are ideally suited for barrier penetration as the jacket is bonded to the lead core of the bullet. This prevents core/jacket separation which in self-defense situations would represent bullet failure. 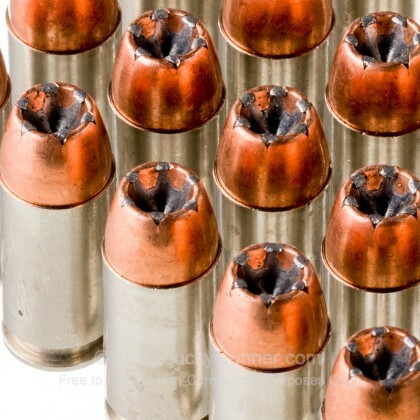 In self-defense situations, bullet weight retention is necessary to achieve the desired 12-18" of penetration. This bonded technology is designed to retain its weight through various FBI barriers such as the front windshield of a car to deliver the desired penetration. 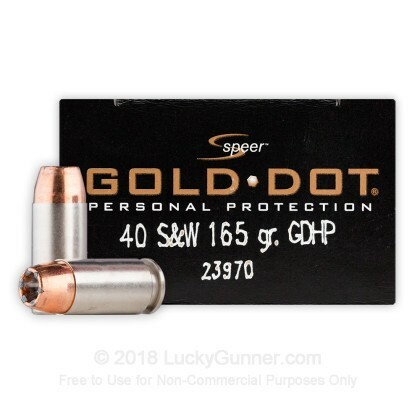 This premium Speer 40 S&W ammo represents a great option for self-defense. 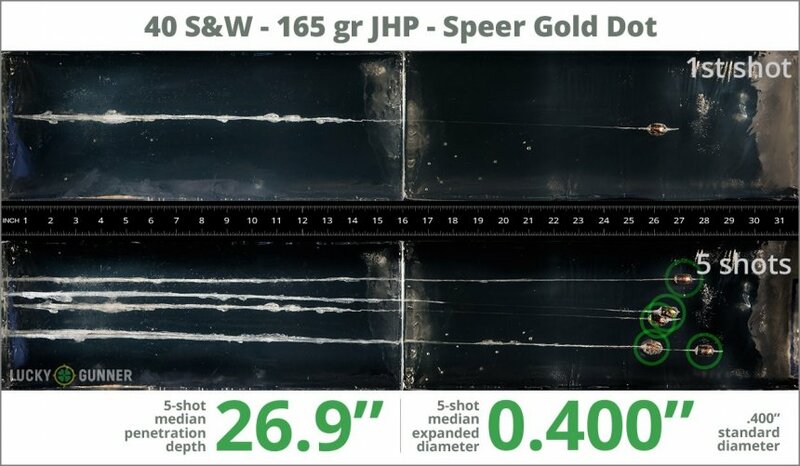 We test fired five rounds of .40 S&W (Smith & Wesson) Speer 165 gr Gold Dot into synthetic ballistic gelatin to observe its expansion and penetration characteristics. The ammo was fired from a Glock 27 pistol at a distance of 10 feet. A four-layer barrier of heavy fabric was placed in front of the gelatin to simulate clothing. 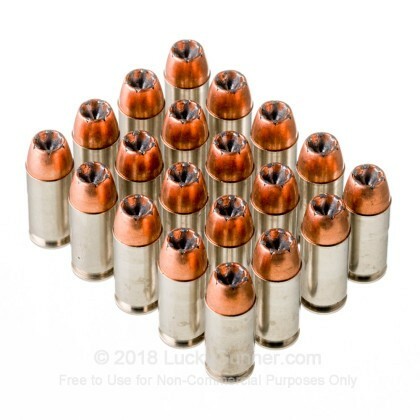 How do the results for this Speer .40 S&W (Smith & Wesson) compare to other 40 S&W Ammo? 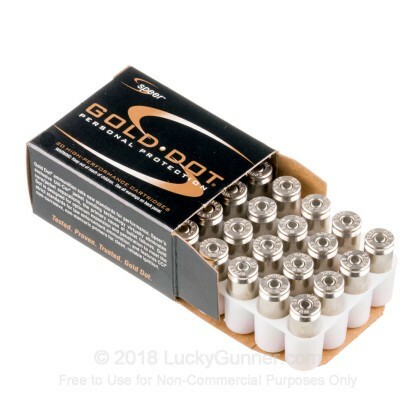 26.9" 0" 9.8" 16.5" 32" This ammo: 26.9" Min: 9.8" Median: 16.5" Max: 32"
There's several fine self defense rounds and Gold Dot is my favorite . I carry 2 - 3 different types in each clip and Gold Dot is always one of them.